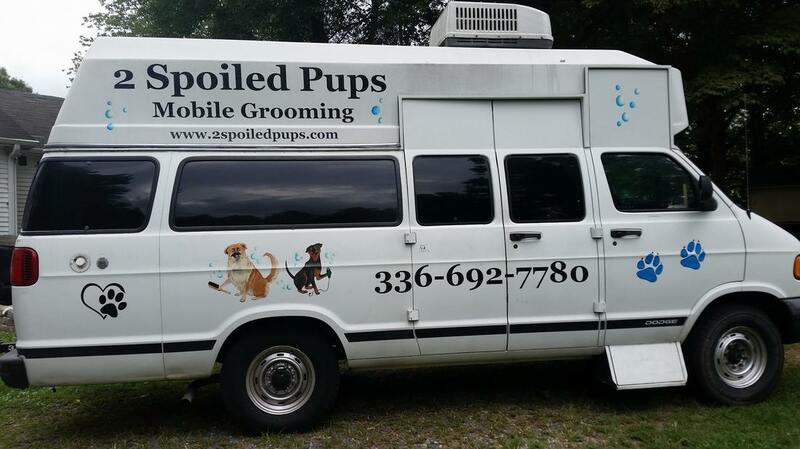 We provide complete pet grooming services in a self-contained, climate controlled mobile grooming van at your home. We are also Fear Free Certified so that we can provide the best experience for your pet! Serving Clemmons, Davie County, Lewisville, Lexington, Thomasville, Winston-Salem and Yadkinville. We come to YOUR home or office- so convenient! So much less stress for both you and your pet. No exposure to other animals. Personal one-on-one care and attention. Warm hand air drying, NO CAGE DRYING. Sanitary, safe and healthy environment. Services done in about 1 to 2 hours depending on condition of dog. Perfect for senior pets and puppies. ​No inconvenient pick up or drop off times.